On this day in history… June 30, 1862 to September 11, 1862 Eugenia Levy Phillips, an ardent Confederate was arrested and sentenced to time on Ship Island, Mississippi because she laughed during a Union soldier’s funeral procession in New Orleans. The South’s small Jewish population adamantly sided with their Southern neighbors and so did their women. The majority of these Jewish women were not recent immigrants, but American born and shared the lifestyle and values of their Christian counterparts. As Hasia Diner and Beryl Lieff Benderly write “Rosana [Osterman], the Levy sisters, and the Natchez M[a]yer daughters were not, of course, recent immigrants but rather the American-born descendants of earlier migrant generations. But they, like Jews throughout the country, both newly arrived and long established, saw themselves as wholehearted Americans and fashioned their lives and identities in response to an American reality quite unlike anything Jews had ever experienced elsewhere.” (Diner and Benderly, 106) These women were Jewish southern belles and lived their lives accordingly. The Levys were a prominent Southern Jewish family and once the Civil War broke-out; they were loyal to the Confederate cause. Two of the sisters, Eugenia Levy Phillips and her younger sister Phoebe Yates Levy Pember would be remembered in history as ardent Confederates, expressing their devotion at opposite extremes. Phoebe Pember took up nursing the wounded confederates; one of the more common and respectable ways Southern women showed their devotion. She was one of the South’s most remembered female hospital matrons and nurse in the largest military hospital in Confederacy during the Civil War. Pember was the chief matron at Hospital Number Two at Chimborazo Hospital in Richmond, Virginia, from 1862 to 1865. 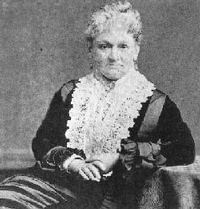 Pember’s older sister Eugenia however, was such an ardent Confederate that her devotion to the cause showed no boundaries, and she is remembered for supposedly being a Confederate spy and for rebelling against the one of the Union’s fiercest generals, Benjamin Butler, who was as known for his hatred of Confederacy as much as his anti-Semitic attitudes. It would not very long for Eugenia to again to make a breech of that agreement, after leaving Washington, to they first traveled to Norfolk, Virginia and then on to Richmond through Savannah and eventually settled in New Orleans in the closing weeks of 1861. Although conditions were unfavorable for Phillip to create a law practice, the family settled there because the Phillips believed they were safe from the Union army invasion in the Deep South, and therefore Eugenia would be safe from suspicion. By April however, the Union army was closing in on the Mississippi River, and News Orleans surrendered on April 29, 1862. When General Butler occupied New Orleans in May 1862, the Southern population treated the Yankees with such contempt that they refused to comply with Federal orders. Southerners formed mobs to attack Union soldiers; they refused to serve Yankees in their businesses; priests refused to pray for the President of the United States, and one man was even sentenced to be hung for burning the Union flag. Despite the harsh punishments the Yankee soldiers issued to New Orleans’ men, the women of New Orleans believed these rules did not apply to them, that they were exempt from all harsh treatments because of their gender. Many of New Orleans’ women ran amuck being extremely belligerent to Union officials. Butler ordered Eugenia to remain on Ship Island situated off the Mississippi coast and a known yellow fever quarantine station; the island was a mosquito filled placed. In the summer, the heat could be fatal while hygiene and proper food was hard to come by. Eugenia described what her sentence and life imprisoned would be like; “I listened in respectful attention to my banishment to Ship Island, to be fed on soldiers’ rations, to be denied communication with everyone, to be allowed one servant to cook my rations, and a few other humane emanations.” (Journal of Mrs. Eugenia Levy Phillips, 1861-1862) Butler allowed Eugenia to have one servant to accompany and attend to her during her imprisonment, and she took her loyal servant Phebe with her. She was also not allowed to communicate with anyone but Butler and her maid, any letters she wrote her family were reviewed by Union guards, and only after she was freed did her family truly learn about her living conditions on the island. Throughout her time there, Eugenia was able to send out a few letters to her family, which described the “gruesome” and inhuman conditions she was forced to live in; these letters according to George Rable “made her imprisonment a cause célèbre.” Eugenia’s imprisonment caused uproar from Southerners, those who knew Eugenia and those who did not. The press throughout the country carried the story. Most people believed the sentence was too harsh for the crime. Korn explains, “The war which Butler waged upon this Jewess and other Southern women made him the Confederacy’s “Public Enemy Number One,” with a price upon his head.” (Korn, 164) The citizens of New Orleans visited the Phillips’ family home as a sign of support. Eugenia Levy Phillips’ devotion to the Confederacy appeared “unquestionable,” as Lauren Winner describes, Eugenia’s actions were beyond what was required of any Southern women supporting the war. Although Eugenia was Jewish and a practicing Jew, she saw herself especially during the war as primarily a Southerner who would support her country at all costs, which she did. As a white Southern women fully integrated in Southern society, and acquainted with the Christian elite of Confederate society including Confederate President Jefferson Davis’ wife, she did not believe the imprisonments she endured was too much, because it was all done for her country. Eugenia Phillips as Winner explains, “was so unswerving in her devotion to the Confederate cause that the Union suspected her of being a spy.” (Clinton, 195) Eugenia Phillips and her sister Phoebe Pember have been the Southern Jewish women most remembered by historians, and their devotion has been elevated beyond their religion, which was the hope of most of the Southern Jewish women that volunteered in support of the cause.